Youth Sunday in the African American Church serves as an occasion in which the Christian village admonishes and encourages, offers instruction and recognizes achievements, and constructively criticizes and carves space for youth leadership within the Church. The old African adage resounds true, “It takes a village to raise a child,” youth and teens. In my purview, a vital component to communal rearing is communal empowerment of the young. Youth Sunday permits typically muted voices to be heard and to develop and demonstrate their skills. The sacred narratives of teens are shared and shaped on this day through praise dancing, youth-led choirs and praise ensembles, scripture readings and sermons from young ministers. Youth Sunday also extends to a week of youth oriented activities—revivals, lock-ins, retreats and/or community service projects. This event in the life of the Black Church provides an alternative to the station of youth in the Church and the realities in which they live from week to week. On this day, they are in charge and call all shots. “We got this, Papa!” “We got this, Memi, Big Mama or Mama!” Following the directives of Junior Deacons and Ushers, the worship service unfolds with proud families and normative or advanced quality. This annual paradigm of youth empowerment demarcates a functional and grace-oriented “No Child Left Behind” Program. These transformational learning experiences influence their values and priorities. The Church demonstrates its agility and imagination on Youth Sunday. Although the Church universal has functioned with a measure of ambiguity concerning violence/war, this lectionary moment explicitly denounces the culture of violence, fear and nihilism that gridlocks many youth and shapes their reality. With unmitigated intensity, youth engage in sexual/dating violence, school violence and gang violence to enumerate a few forms of the culture. As shown in the “Where Is the Love” video that accompanies this unit and was developed in response to youth violence in Chicago (but it could be any urban center), our youth are in crisis! Yet this problem remains underexplored by our churches and government officials. For some reason, youth violence, which claims the lives of countless young Americans, is not perceived as a matter of Homeland Security. The Church fails to appropriate or ascertain the relevant language to delve fully into or analyze this problem. The Church, the arms, legs and hands of God, must embrace the call to rescue our youth. Choral responses, didactic dialogues and hip-hop renditions of “Amazing Grace” evade addressing the heart of our festering communal ailments. As living litanies, realized sermons and mobile melodies, we stand a better chance to meet the compassion and comprehension deficits in our communities and in the hearts of our youth. Ralph Waldo Emerson posited that a person is what he [or she] thinks about all day. A Youth Day worship service with relevant sociopolitical issues (such as combating violence) as its thematic thrust seeks to change the minds of the young and lost. Found on the Students Reducing Youth Violence website, a letter dated November 6, 2008 addressing youth violence was sent to an Illinois State Representative. This letter not only captures a college student’s reaction to this underserved issue, but models appropriate routes of responsibility and compassionate citizenship—traits dear to Christians. I live in your district at 3237 S. Morgan St. in the neighborhood of Bridgeport. I will receive my B.A. in Psychology from Roosevelt University in December, and I hope to spend my career working with youth in underserved populations here in Chicago. As I’ve volunteered with various youth programs, I’ve gotten to know some children and parents who have been directly affected by the issue of youth violence. I recently had the privilege of a conversation with a parent named Maria. She told me about her son, Matthew, whose nickname on the streets was “Bobo” which is Spanish for clown. Though Matthew had a brief affiliation with a gang when he was younger, he was one of the few to successfully leave that lifestyle. He was well-known on the streets as a “neutron” – a neutral party with no gang connections. He wanted to be a firefighter like his grandfather and had already spent several years volunteering at the firehouse. His mother told me, “He was going to be a hero.” However, one night while walking the two blocks between his friend’s house and home, he was randomly chosen as a target and was shot in the face. He died two days later at 17 years old. One thing that Maria kept reiterating was, “The world missed out.” But not only is society left without the benefit of Matthew’s life, Maria is left with unimaginable grief. As I’m sure you know, Matthew’s story is not an isolated incident. Please do what you can to increase the funding for after school programs and specifically, for anti-violence initiatives here in Chicago. I’m confident that you and your constituency would support an end to the needless deaths of these promising young people. I acknowledge that there is no easy solution because research shows that many inter-related factors (e.g., poverty, parental involvement) are correlated with youth violence. However, we can take steps in the right direction. Provide mental health care for these youth and families to help with the grieving process. To prevent these incidents from ever occurring, provide programs with the funding that they need for attention grabbing after school activities and mentoring programs. The next document captures the concern of governmental officials for securing urban areas and expurgating the violence of the streets. The inclusion and review of this document in no way endorses the governor or his sentiments. However, it does offer another window into the courses of action taken by persons to abate the street crimes and murder of youth. In this case, we delve into the political arena for observation. Thank you for leading a bipartisan coalition to pass comprehensive gang legislation. I support your legislation, The Gang Abatement and Prevention Act of 2007, and appreciate that it would establish new crimes and tougher federal penalties to deter and punish members of illegal street gangs. I also strongly support the federal funding authorized in your bill for suppression, prevention and intervention programs. Gang violence is a problem in communities all over California. We need to have a coordinated approach among federal, state and local governments to work together and eliminate this problem. I support the provisions in your bill that would create new High Intensity Interstate Gang Activity Areas, enhance existing federal efforts such as Project Safe Neighborhood and Safe Streets, and expand grants to states and local agencies and to community groups. Fighting gangs in California will require various strategies including suppression, intervention and prevention. All of these efforts will require additional funds. I urge Congress to provide additional funding in Fiscal Year 2008 to build on federal anti-gang efforts, and to provide grants to state and local agencies to combat gangs and gang violence. I appreciate your continued support for states and local communities in their fight against gangs. (a) PROHIBITED ACTS.—It shall be unlawful to knowingly recruit, employ, solicit, induce, command, coerce, or cause another person to be or remain as a member of a criminal street gang, or attempt or conspire to do so, with the intent to cause that person to participate in a gang crime, if the defendant travels in interstate or foreign commerce in the course of the offense, or if the activities of that criminal street gang are in or affect interstate or foreign commerce. As we can see, there are multiple ideas concerning how we can stop youth violence. The African American Church must develop its own relevant approaches and continually, sincerely, and aggressively apply them. James Cone prioritizes identifying the problem(s) as the first step toward liberation. While addressing the issue requires greater intensity and clarity than just identifying it, the moral dilemma that this lectionary moment highlights is not difficult to ascertain. The focal pericope for this lectionary moment (Luke 8:41-42, 49-56a) captures a daunting reality and a glimmer of hope. As with the rampant realities of urban youth-oriented criminality and violence, this biblical narrative simultaneously exhibits the skepticism and pessimism of a segment of the community (the professional mourners) and the hope and assistance of another segment (the accompanying disciples). Though our community appears divided on the question at hand, those committed and full of hope in anchoring peace on earth via our urban centers foster enough might through Jesus to affect change. We cannot allow a focus on differences concerning solutions to paralyze us so that the end result is that youth violence continues to hemorrhage throughout our communities. The following statistics and probable causes provide a sense of the enormity and complexity of the problem and are followed by information that could be effective for cultivating solutions. Youth violence is widespread in the United States (U.S.). It is the second leading cause of death for young people between the ages of 10 and 24. 5. Working with social service entities in your community to ensure that none of the families in your church and community are endlessly stuck in poverty. Even if your church cannot institute all of these solutions now, it can implement some and build on them in concert with other churches, social service agencies, school, your local government, parents and youth. Eventually galvanizing sixty-seven churches, the constituents of the Ten Point Coalition conversed with, and listened to the people most affected, the youth of Boston—Mattapan, Roxbury and Dorchester. Through civic policing, pervasive pastoral intervention and deep, robust dialogue, the homicide and assault statics diminished in the said areas. This episode in the life of minority communities gives a testament to the power of grassroots organizing, spiritual care and concern and honest dialogue. The hope for change rests in the community. This response to the death-dealing circumstances in our urban centers calls to light the availability of a people, the desire for collaboration and how the undercurrent of God’s power working through us can do what seems impossible. The Spirit permits us to affect the unthinkable. I joined the “Rolling 20 Crips” when I was 14 years old in Cleveland, OH. In hind-sight, it was the poorest decision I ever made. Initiation consisted of being jumped in by 3 people for 3 minutes. I fought 6 people for 20 minutes and then was made to fight one of my closest friends, also a member. He was my introduction to the gang. The hardest part wasn’t the fighting, the long heated exchanges or the fact that at one point I was hit in the head with a rock and almost passed out. The most difficult aspect of my gang involvement was the sense of obligation to lie to my parents about my bruises and black eyes. My mother was a municipal employee in the Mayor’s office at the time. I didn’t think that the consequences of my actions could also impact her livelihood. As a fourth grade teacher in the South Bronx, a post in which I served for only one year, I encountered endless transpirations of youth violence. From gang affiliation to “petty” cases of bullying to situational hallway brawls, AT, one of my most rambunctious and disturbed students, proved his “badness” and urban sensibilities each day. At the time of my charge over his learning, he was an 11 year old in fourth grade, two years behind others in his age cluster. The sect of Crips recruited and fully initiated AT while in the third grade. While discoursing with AT, he mentioned that his initiation required vandalism of school, community and private properties, wild fights with slightly older kids and local drug trafficking. His mental disturbance, to which I accredited his violent proclivities, also manifested in the daily pictures he drew of his infant sister surrounded by daggers. His violent behavior might find root in his socialization by an abusive, alcoholic father, a familial strain that Child protection services evaded addressing. With no programmatic support, I formulated my own conflict resolution training with my students. However, in addition to the day he attempted to commit suicide with window blinds in our classroom, AT and MK, a classmate from another localized gang, brawled in the library after an undetermined verbal exchange. Avoiding my normal route of action, I did not endeavor to separate this altercation. As the aides sought to restrain them, AT pushed one of the paraprofessionals down a flight of stairs. So infuriated by the failed fight attempt, AT commenced ripping all of his papers, threw his desk and chair, which hit other students, and threw my personal computer at MK. The administration normatively ignored these issues or expelled students who did not care to attend school anyway, which enables the violent culture of the school. I left that school at the end of the year with no impetus for curing the culture and no hope of hearing about change in the South Bronx. Fred Hammond’s “No Weapon” unambiguously evokes ideas of God’s protective power and care for humanity. This song forges mental images associated with instruments of death found on the streets in our society. Moreover, it proffers a message of hope, the resilience of and the spiritual invincibility of those enveloped in God’s loving-presence. It recognizes the reality of threats, but taps into the language of the promise of God’s superintending concern for our situations. (stand by his word) NO… NO… NO WAY! Hezekiah Walker’s “We Made It” gives voice to the spirit and testimony of the victory known to those who persevere. Each day of life signifies a victory over and survival despite the death-jolting and joy inhibiting realities. The first person plural pronoun, we, encourages the sociality of this struggle to survive—standing in liberty, walking in unity and praying continually! The final song for today’s lectionary, “Yield Not To Temptation,” fosters conceptions of God’s role in curbing our appetites for potentially self-destructing engagements. Singing said song bonds the youth with the lived religion of the old Saints and their struggles to align their actions with the will of God. men and male figures) involved in implementing the ideas. Create a testimonial video of youth formerly involved with school, domestic or street violence. Produce uplifting message-dramas centered on remedying school and street violence. Organize outdoor worship services, rallies and carnivals around the theme of “Increase the Peace!” Advertise this event as only youth can—via Facebook, TV, radio, on the street and all over the community. Partner with community and city organizations committed to structured youth recreation. For next year, remember that National Youth Violence Prevention Week usually occurs the third or fourth week of March each year. Go to the web for information on National Youth Violence efforts and ideas. God of all we survey, we pray to you. We are young people, and we want to celebrate life! Make us ambassadors for peace in all we do each day. Teach us to anchor peace in our being, in our streets and in our schools. Though many youth are parked in pockets of poverty and death lurks around the corners of our minds and communities, we cry out against all that threatens life: poverty, physical and verbal abuse, illiteracy, apathy, selfishness and injustice in every context and form. We want fullness of life: respect for the contributions of everyone, young and old; education; food and decent housing; peace in our schools, our communities. We hope to water the parched hearts of our violent peers with the words and deeds we have learned from Jesus. We seek to reclaim all who are lost in cycles of violence and hopelessness, in the name of Good. Help us to express your peace with strength and conviction. In the name of Jesus, we incessantly pray. Amen. As an example of and inspiration for creative approaches to addressing the involvement of youth in the multifarious culture of violence, see the following video about a former gang affiliate in the Boston Metropolitan area, Jahmol Norfleet. In fact, Jahmol operated as a leader of the H Block gang. “In the Boston Miracle, peace had been imposed for a time by superior outside forces; now, gangs themselves would make peace, face to face, because they wanted to. Truces had been tried elsewhere, but they never lasted. This one could, Culpepper told H Block: ‘You need peace. You need something better than a gun.’”12 In conjunction with a local church, Norfleet facilitated and attended the secret Peace/Truce Summit to resolve the animosity between the H Block gang and other street sects nearly four months before he was killed in cold blood. Truly, the loss of Norfleet represented the silencing of a young voice of urban redemption. Fortunately, each neighborhood and community possesses the human resources to tap into and expand this narrative of activism and commitment to youth. “At thirteen years of age, Stephen Stafford is causing quite a stir at Morehouse College. Stafford has a triple major in pre-med, math and computer science. Though he loves playing video games and playing his drum set, he is no typical teenager. We must, as a community, applaud and uphold this young man. We must cheer for him as if he averages 40 points a game. We should converse about his achievements as if he had released a platinum hip-hop album. He should get the same respect as every linebacker, point guard or hip-hop artist in America. Corporate America will not blow Stephen's trumpet, but I will. I also want all the other Stephen Staffords to make themselves seen. There are hundreds of thousands of Stephen Staffords out there who've been convinced by a culture of thuggery that they should do their best to hide their greatness. Rather than acing math class, they've been taught to measure grams and kilos or to memorize football playbooks that are 100 pages thick. Our young men can analyze the triangle offense in basketball and break down a nickel defense, but then become mentally deficient when it comes to doing algebra, science and social studies. The time for mediocrity is over, since education is the key to making your dreams come true. 2) Don't let anyone convince you that you can't achieve whatever you put your mind to. No one has the right to define you or your child. Because my grades were horrible in high school, I was told that I wasn't smart enough to go to college and (like millions of black boys across America) recommended for special education. Later on, I became the only African American in the world to earn a PhD in Finance in 2002. I didn't earn the degree because I was brilliant. I actually earned it because I finally realized that I had the ability and determination to make my dream into a reality. Community and Mass Media Strategies. Washington, D.C.: U.S. Dept. of Justice, Office of Justice Programs, National Institute of Justice, 1994. Data From 13 Evaluation Projects. New York, NY: Oxford University Press, 1996. Services, U.S. Public Health Service. YouthViolence: A Report of the Surgeon General. Washington, D.C. For sale by the United States. G.P.O., Supt. of Docs., 2001. United States. Congress. House. Committee on the Judiciary. Subcommittee on Crime, Terrorism, and Homeland Security. Youth Violence: Trends, Myths, and Solutions: Hearing Before The Subcommittee On Crime, Terrorism, and Homeland Security of the Committee on the Judiciary. House of Representatives, One Hundred Eleventh Congress, First Session, February 11, 2009. Washington, D.C.: U.S. G.P.O., 2009. Zimring, Franklin E. American Youth Violence. New York, NY: Oxford University Press, 1998. 4. United States. Centers for Disease Control and Prevention. Youth Risk Behavioral Surveillance—United States, 2007. MMWR, Surveillance Summaries 2008; 57 (no. SS-4). 5. Nansel TR, Overpeck M, Pilla RS, Ruan WJ, Simons-Morton B, and Scheidt P., Ed. “Bullying Behaviors Among US Youth: Prevalence and Association with Psychosocial Adjustment.” Journal of the American Medical Association 285.16 (2001): 2094–100. 7. Anonymous interviewee. Interviewed by the author 16 February 2010, Cleveland, OH. 8. Anonymous interviewee. Interviewed by the author 23 February 2010, South Bronx, NY. 9. “No Weapon.” Fred Hammond. No Weapon. Christian World, 2002. 10. “We Made It.” Hezekiah Walker and LFC. Family Affair 2: Live at Radio City Music Hall. Verity, 2002. 12. Hampson, Rick. “Gang Peacemaker's Death Imperils Truce in Boston.” USA TODAY 5 Mar. 2007. 13. Watkins, Boyce. 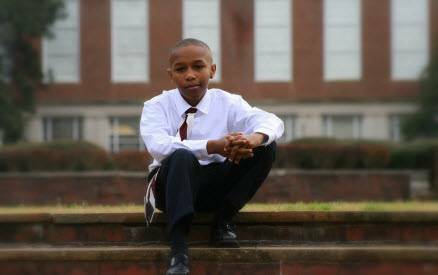 “Morehouse Whiz Kid is Causing a Stir: 13-Year-Old Dominates College.” Jan 13, 2010. Online location: http://www.bvblackspin.com/2010/01/13/morehouse-college-stephen-stafford/ accessed 4 January 2010.